The Beer Lovers' Tour Company offers custom tours and events, for corporate and private functions within Toronto, Niagara and the GTA. Here are a few options for your next company event, bachelorette party or other occasion, with a minimum number of participants. Beer & Chocolate Tour of the Distillery (weekdays). Suits 8 - 25 people. Our customized beer tours make for an awesome employee event. 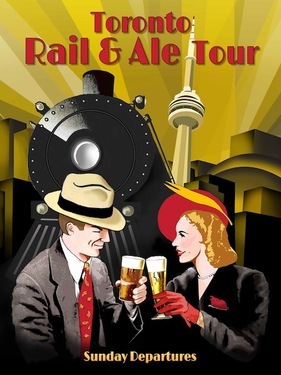 Our 1/2 Day Toronto Beer Tour is fully customizable to suit your group's needs. Suits 15 to 30 people. Fully guided by our Prud'homme Certified Beer Host. Please contact us to discuss. 1:30 PM Start at Steam Whistle Brewery for a tasting and tour. 2:30PM a short bus drive to "BATCH Brewery" or alternate local breweries for a tutored tasting of various different styles of beer. 3:30PM Your bus will take you via Corktown to the Distillery District where you will have a tour of the Historic Distillery and another tutored tasting with fresh pretzels at Mill Street Brew Hall. 4:30PM You are then free to visit the charming shops and galleries of the Distillery District on your own. 5:30 For those wishing to have an added dinner package, we offer a gourmet beer dinner at Mill Street Brewery. Contact us re: availability & pricing. On-site "Beer Festival." Great for conferences. Suits groups from 50 to 300. 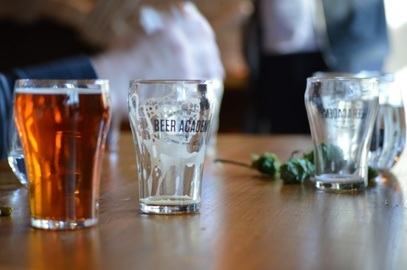 'Tutored' beer appreciation tastings - in-office or at one of our brewery partner's event spaces. We can adjust to your group size. Beer themed dinners - hosted beer & food pairings at the Mill Street Beer Hall in the Historic Distillery District: Add on walking tour with other stops, including SOMA Chocolate maker and pick-up and drop off. Custom tours that can include 1 or more breweries and your choice of itinerary and/or meals. We will work with you to arrange the perfect event for your group. Please call Oliver to discuss your requirements. Contact us for a customized experience.